Fortunately, Moore lost the seat to Democrat challenger Doug Jones. Which is good, because much like Farage himself, Moore’s kind of the worst. Here’s what a real march looks like, Nige. He can’t even waste taxpayer money successfully. Getting onto the EU’s fisheries committee. And turning up to 1 vote out of 42. He’s little better in general debates. He regularly just films speeches for his YouTube channel, leaves and takes his salary. Farage likes to complain that the EU doesn’t represent us. He’s wrong – it’s him that doesn’t represent us, even when he bothers to show up. She’s still doing the hokey-cokey and dancing around the issue but as a result, it’s clear European elections are incredibly likely this Spring. But we cannot wait for Theresa May to give us the green light – we need to be fighting-fit now. A big win will also take us a monumental leap closer to securing a People’s Vote and put us in a great position for winning that referendum. I’m sure you don’t need reminding that that wasn’t a fantastic time for our electoral chances. But this time around we have the chance to win – and win big. 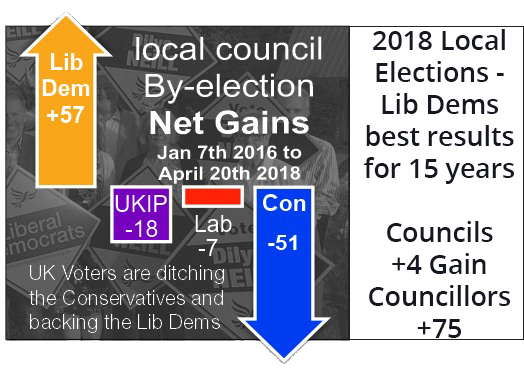 Lib Dems are fantastic activists. We get out, we knock on doors, we deliver Focus. It’s never too late to start that. Don’t worry if you’re new to this – there will be more experienced people there to give you a helping hand. But if pavement pounding isn’t your thing, worry not. There’s always plenty of jobs that need doing around a campaign. Get in touch with your local party; they’ll be able to teach you new tricks and help you make the most of your skills and interests. But that’s what matters to local people. And it can be bigger than that. If there isn’t a People’s Vote or European elections, this will be our only chance to tell the government what we think of their Brexit mess. One of our strengths as a party is our broad, committed base of activists. Sometimes, it can be hard to pick out who in your area might be willing to help – so we’ve put together a guide for you! You likely already have a large amount of data that you can use to identify potential volunteers – even without canvassing. When someone signs a petition on the national party’s website, the data they provide is synced to Connect too. We’ve seen this work astonishingly well with our Exit Brexit petition. In some cases over 50% of those in an area who’ve signed it have then gone on to volunteer for us. That’s a pool of a few thousand extra people you could ask! – Open Connect, and click Create A New List. – Ensure that the option for including people is set to ANY and not ALL. – From the same list, scroll down further and select all four options that begin with “National Website Petition”. Note: the party’s new supporters scheme is another excellent source of potential volunteers. You can identify supporters through Salesforce – find out how here. I’ve got my list of prospective volunteers. Now, what should I do with them? – Give them a call where you can, or arrange a face to face meeting. It’s always better to have a two-way conversation! Listen to them – find out what they want to contribute and why. – Ease them in. Don’t ask them to join the party or stand for election off the bat unless they seem interested in doing so. Keep it low-commitment – delivery is a good starting point. – Give them a reason to volunteer! Get them to meet your candidate and explain how your volunteers’ work makes a difference. – Hold group campaigning events. Make it a social event – people will be more keen to help out if they’re enjoying themselves! – Make sure newbies are paired up with more experienced campaigners! Make sure they know they can take as long as they want, too. It’s better for them and your campaign for them to learn the ropes before you let them off on their own. – Be accessible. Phonebanking is a great option for people who struggle with mobility. Clerical work can be offered to those who’d rather not talk to other people. I can’t understate how important recruiting volunteers is. Whether local elections are looming for you or you’re gearing up for the next time around, a wide, diverse volunteer base is essential. The more volunteers we have, the more Liberal Democrats we can elect to make a difference on every level. There are millions of British people who agree with our aims. Even a small percentage of them represents a sizeable force – and a big amplification of our voice. Last night, the People’s Vote option got more support from MPs than any other option. We’ve asked you to help us by contacting MPs to persuade them to back a People’s Vote in the past. Of the 45 MPs we’ve lobbied, 29 of them voted for a People’s Vote last night. We’ve identified 32 MPs who abstained in the last vote. We think they can be persuaded to stop sitting on their hands and back a People’s Vote. Will you help us contact them – and make sure that when the next chance to vote for a People’s Vote comes, we can secure it? Theresa May and her party have made an absolute hash out of Brexit – and they have been aided and abetted by Labour who continue to play politics with Brexit. 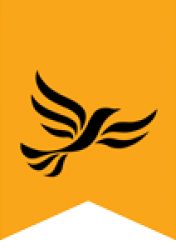 The Liberal Democrats have been fighting for a People’s Vote for nearly three years. 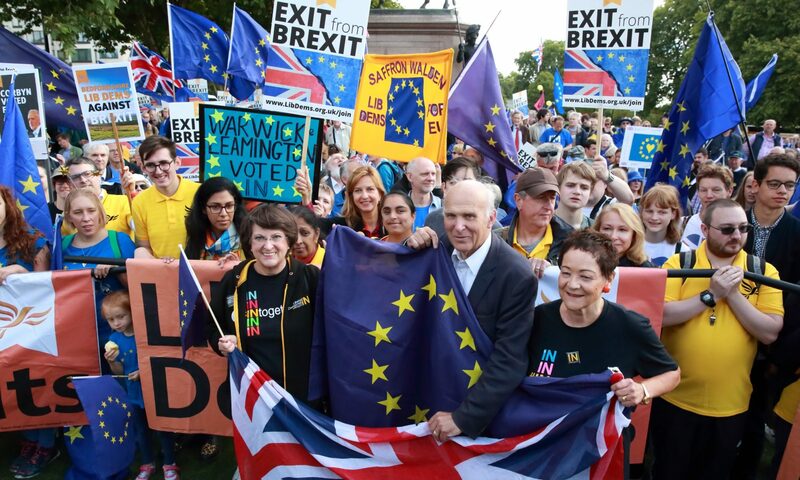 We stand with the million people who marched for a People’s Vote in Westminster last month. We stand with the six million people who have signed the parliamentary e-petition calling for revoking Article 50. And we stand with the majority of the public who in polls continue to tell us they want a People’s Vote and want to remain in the EU. We are closer than ever to getting a final say for the people – with an option to remain in the EU.